"I was so moved by the amount of submissions and the amazing detail and effort that was put into all of the designs. It was such a difficult decision for me to choose just one! I’d like to give a special shout out to 9 year-old Maia Quinn. Your design was in my top 10 before I even realized you were only 9! By the time you’re 15, you’ll be a famous fashion designer living in Paris! Ultimately, I chose NAY-TIV RAY-VIN by Crickets Meyeres. I felt this garment could have been made for Rhiannon or for Gold Dust Woman~ the color really isn’t that important. It just seems like a “Celtic” or a “native American” piece~ and I found that very interesting because it is obviously the tribal element that drew me to it~ be it Welsh or Southwestern~ Congratulations!!!" Designers can submit a ready-made shawl design or a sketch. Both should include a written description about why they think this shawl would be appealing to Stevie Nicks. The selected artist will receive $2,000 of which they will be required to produce their final piece. 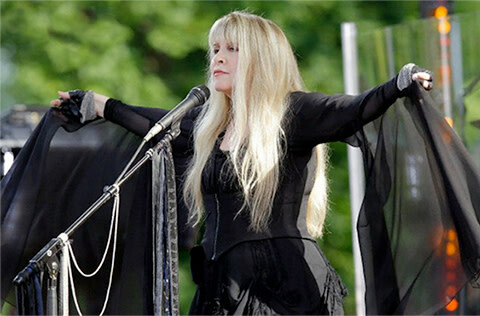 A professional photograph of Stevie Nicks wearing the shawl will be taken for the selected artist to include in their portfolio. The photograph and winner will receive an official feature on stevienicksofficial.com and across her social channels, potentially being seen by millions globally. "In 1968, a very handsome boy brought me a poncho from South America. I knew it was magic and that some day I would copy it in chiffon or leather or beaded material. I realized that wearing a poncho or a long shawl gave me something to work with up on the stage. Big movements, big twirls, you need to be seen from far away. So I made that a big part of my stage clothes. It became totally intertwined in my fashion style." Stephanie Lynn "Stevie" Nicks is an American singer-songwriter who in the course of her work with Fleetwood Mac and her extensive solo career has produced over forty Top 50 hits and sold over 140 million albums. She was deemed "The Reigning Queen of Rock and Roll" and one of the "100 Greatest Singers of All Time" by Rolling Stone, and, as a member of Fleetwood Mac, was inducted into the Rock and Roll Hall of Fame in 1998. 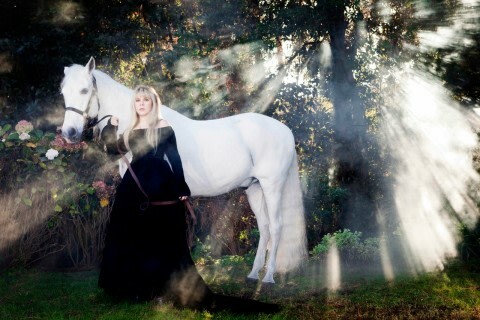 As a solo artist, she has garnered eight Grammy Award nominations and, with Fleetwood Mac, a further five. All entries must be original work of the participant (meaning not using third party pre-existing copyright materials) but can be pre-existing or created especially for this opportunity. Participants must have an up-to-date Talenthouse profile with a short description about themselves. Winners must respond to Talenthouse within 7-14 days of receiving the notification email or else will forfeit all incentives. The selected participant will be responsible for creating and producing the shawl. 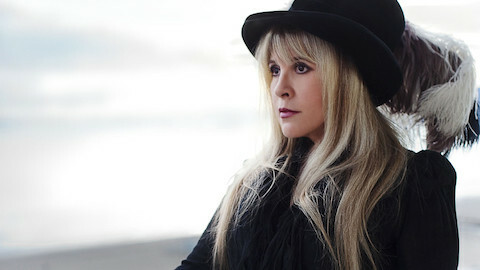 Warner Bros. Records has agreed to cover the shipping costs associated with getting the shawl to Stevie Nicks. Stevie Nicks will select from all qualified submissions. A qualified submission is one which meets all the Terms & Conditions, Guidelines and Official Rules. 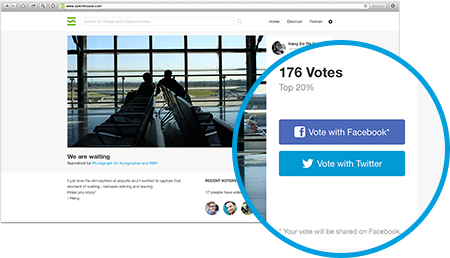 The community can support their favorite submissions through social voting via Facebook and Twitter. The artist with the largest public support will be chosen as the Community Choice.